The hotel's Llandaff Suite is the perfect venue for conferences, meetings or private functions of any kind. It can accommodate up to 110 delegates in a theatre arrangement, 60 classroom style or 40 if you prefer a boardroom setting. The suite provides a stimulating atmosphere for the presentation of new ideas, and knowledgeable support can be provided on the supply and installation of specialist audio equipment. Churchills also offers the Cathedral Suite, seating up to 15. For smaller functions and meetings, Mews apartments provide an ideal environment for up to 12 delegates fully supported by all hotel facilities. 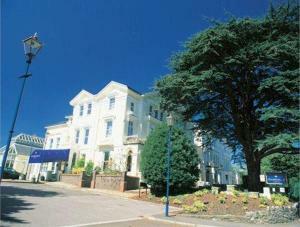 Price details:Rooms from £31.00 per night (includes discount for booking online).